B24 recently participated in a design conference in New Delhi, India. 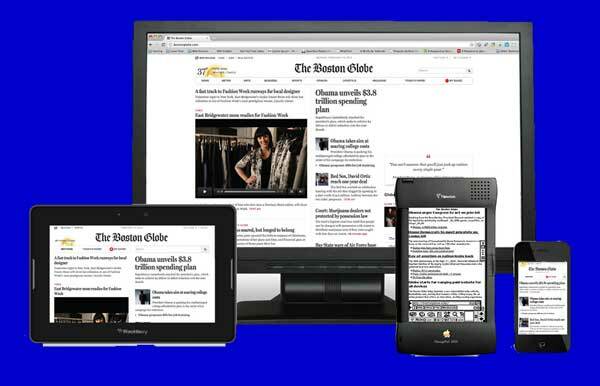 One topic of particular interest related to website design for news and media companies. While the latest buzzword responsive design was bandied about abundantly at the conference, there are several reasons that leads B24 to believe that the concept may prove to be more of a fad than a lasting design principle. Whilst Moore’s Law is still applicable today, it is also important to note that the size of content and the demands on chip processors has also been increasing, and steadily so. Gone are the days of downloads measured in Kilobytes. Even though mobile devices are more powerful now than 5 years ago, the scale of content consumed has grown. Expecting the same performance on a desktop and mobile device for the same content is not only unrealistic, it will have a direct and negative impact on user experience. This would be both in terms of speed and useability. Responsive web design is inherently complex to implement. This complexity introduces significant inefficiencies above the content layer in order to cater for a multitude of devices. Not only does this complexity result in challenges with respect to site maintenance, it also slows the site down. Whilst less of an issue for smaller, lower traffic websites, sites like the BBC and other large media houses that host a ton of content can grind to a halt during peak traffic periods. As complexity increases, generally so does the implementation cost. Whilst the search for a singular solution through responsive web design may be appealing on paper, the time and money it takes to implement such solutions is rarely considered in the context of specially tailored sites for different (groups of) devices. Both the workflows for development and testing of responsive sites are longer and more difficult for programmers to manage. Ultimately, responsive web design is a one-size-fits-all approach. Such lowest common denominator strategies very rarely deliver the best user experience and responsive web design is no exception. A simple example is that many features on mobile devices, like location-specific contextualisation aren’t implemented on responsive design websites. This is where a device specific strategy wins. While there is a different amount of work involved to develop a mobile site, these sites can be tailored to make the most use of a device’s features, screen size, software and connectivity. The online gaming industry experimented initially with responsive design and then opted for creating device specific applications and platforms instead. When asked why this was the case at the London Affiliate Conference in February 2014, the reply was consistently that the speed, layout and content had to be tailored to users on mobile devices – not just the presentation layer. It simply took users too long to find the relevant section to support conversion in the responsive model. It is not a stretch to see why the argument above would apply to news and media companies. The biggest challenge is that they have been focused on delivering the same news content across platforms. The next step would be to consider how people currently use their devices, and for what they would like to use them for ideally. Only then can the decision be made about responsive design being a sound design principle.